Xiaomi has finally started rolling out Android 6.0 (Marshmallow) update MIUI 8.1.1.0 Global Stable for Redmi Note 3. 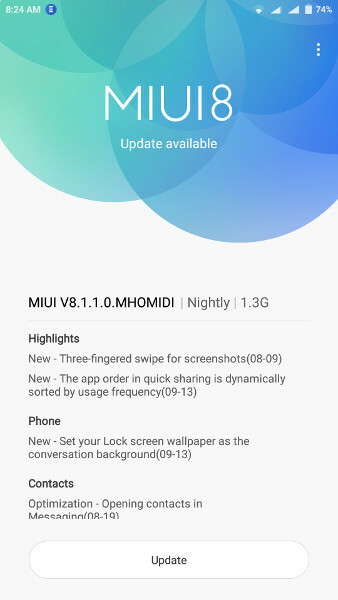 MIUI 8.1.1.0.MHOMIDI OTA update is the nightly build, which Xiaomi calls Beta-Stable release before the final update. The new Android Marshmallow update comes with some additional bug fixes and optimizations. The update is about 1.3GB in size and is available for select users randomly. You can check this update on your phone updater app and install the same on your Redmi Note 3 phone. 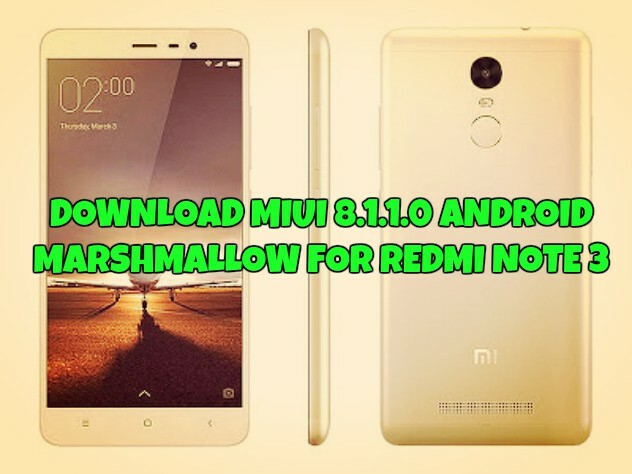 If you can’t see any OTA update there then here is the guide which you can follow on your Redmi Note 3 and update the same with this new MIUI 8.1.1.0 Android Marshmallow update. This guide is only for the Redmi Note 3 users and doesn’t apply this method on any other Xiaomi phones. To get started all you have to download MIUI 8.1.1.0 MHOMIDI update zip file on your phone and install with the help of update application. But before that do take the full backup of your phone. Here we provide you the Full MIUI 8.1.1.0 Global Stable ROM for Redmi Note 3. So let’s get started. The changelog of the update is same as the previous update the smartphone got, with some additional bug fixes and optimizations. Here are some of the changelogs. This OTA update is just a Nightly Build – a Beta version and is not the final and stable version. If you want to test this build on your phone then download the zip file from the below mention link and flash it manual;y on your phone at your own risk. Download the latest MIUI v8.1.1.0 Global Stable ROM Update zip for Redmi Note 3 and flash it. Comment below if you have any doubts. Thks for this helpful article. Please help me.i can’t restore my Redmi note 3 because of forgotten password..Also I don’t have the mobile number which I started with mi account..how it resolve..can u please help me.